I don't wanna waste my time! Let's go all the girls! Give me, Give me love! 2018.9.24 イナズマロックフェス2018 DAY3 風神ステージ 1 S.T.L. 2 Dance with me 3 All the girls 4 Shake it up! Show Champion EP.282 Chuning Candy - S.T.L. ???? - S.T.L. 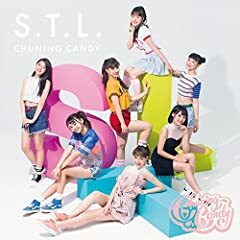 Chuning Candy - S.T.L. [Show Champion] Global No.1 KPOP IDOL CHANNEL, ALL THE K-POP! Copyright? MBC PLUS, All Rights Reserved.